Meaningful relationships are obviously at the top of the list of essential ingredients to a fulfilling life and also a successful organization - private, public, non-profit, and others. Without well functioning relationships internal to an organization the value of your outputs will be taxed, i.e. cost more in time, money, and effort than they otherwise would be. Externally an organization is most valuable to it's key customer, suppliers, regulators, and others when it's relationships are clean, clear, and beneficial to all involved. The same is true of individual relationships in your life. We're social beings and it is essential to our mental well being that we have meaningful and well functioning relationships. Life & Business Transitions are not independent of the relationships you have and they can, in some cases, make or break your next transition. Taking a clear and concrete view of your relationships is useful at any time but in particular when preparing for your next transition. 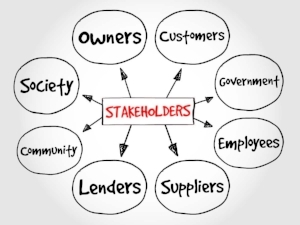 This article is about "stakeholders", and for those unfamiliar with the buzzwordy term, a stakeholder is a special kind of relationship you have where these other individuals or organizations or demographics have some relevant interest, impact, or influence on your well being and productive fulfillment of your purpose. Basically, they are an essential element to your success. While to some this concept might seem foreign, cold, or unnecessarily analytical, the real value will be seen when you use this type of thinking in your next personal or organizational transition. We all do this implicitly all the time when we assess the value of our relationships and our interest in developing them further. This is the next level of thinking where it shows up explicitly, written on paper, and framed with some analytical models that can enrich how you think about the potential (or lack thereof) of your stakeholder relationships. Below is an overview of a few models to view your stakeholder relationships, their strength or weaknesses, benefits, and potential opportunities to grow in the future. The first step in a stakeholder analysis is to take an inventory of the key individuals or organizations that impact, influence, or have a keen interest in you and your interactions with them and others. Capture some simple data points like when the relationships were established, what kind they are (individually - close friend, friend, acquaintance, direct family member, etc. and organizationally - customer, supplier, employee, management, government regulators, community groups, etc.). I suggest keeping them on a personal basis for individuals and at a categorical as an organization but possibly name individuals if they have considerable weight in your relationship groups. Perhaps frequency you interact with them, in what ways, the last time you had an exchange, etc. This information will come in handy later on as context for future growth and strengthening of these relationships. 3 Tier View - this is a simple view of your stakeholder relationships, again whether as an individual or organization. Draw 3 concentric circles, one imbedded in the other so you should have at the end what appears to be a target. In the center circle input your closest relationships, the ones that you interact with frequently, and which have a large influence, impact, or interest (i3 from here) in your activities and decisions. There shouldn't be more than 4-7 VERY strong relationships in this tier. The next tier (middle ring) should represent the next level of relationships. These have less frequency of interaction and/or pronounced levels of the i3's. The outer most layer are those stakeholders that are still relevant and have some level of i3 in your life or work but who you don't interact with often. Next is to critically assess these relationships when considering the transitions you seek, which ones will reinforce and positively contribute and which will be a drag? Which do you have direct control over strengthen or even disengaging from? Use this simple model to rearrange (or not) the relationships and think about what that means for your future. This ones a little more complicated but adds more information to the original stakeholder inventory. You include the specific categories of the kind of relationship it is, a benefit (quantitative or qualitative) they provide you or your organization, and how you benefit the relationship. After putting together this matrix look for overlaps, redundancies, or gaps that should have some attention put to them. Additionally, you can sort by the level of benefit you receive now and potentially in the future as well as what benefit you provide them. In an organization, your direct beneficiary or customer will show up at the top of the list as the relationships you get monetary benefit or purpose fulfillment (in the case of a non-profit) and that you serve them with value with a product or service. This is kind of like a "rolodex" of contacts but with more information added for context. This can show up as a powerful tool to develop relationships further but also to connect your stakeholders to one another to find more value in developing relationships further. Additionally, you may find you need to develop a few new relationships in key areas like local government, community organizations, etc. where having a few more relationships in those areas can improve your effectiveness, communication, and mutual benefit. I include this model in my Next Callings Experience and it's a way to view the benefit of your stakeholder relationships by the potential to grow them further in some way. Place your stakeholders from your inventory on the spectrums from low to high of Energizing/Fulfilling (basically benefit level) vs. Growth Potential. The ones that end up with high benefit and high growth potential are key stakeholders to devote most of your time, attention, and resources to. The lower left quadrant are ones that you can either eliminate (sounds harsh, I know!) or at least not allocate as much of your precious time, effort, money, or attention to. The point is to use a model like this to categorize your relationships in some way and use the insights made to make future decisions in line with your goals and values. 4. Take Action - the last step of the analysis is to take action on some of the results you discovered. Schedule meaningful and valuable interactions, focus on benefiting these stakeholders in some new and novel way. As an organization you might find these relationships have a lot of potential to benefit all involved, especially after you've refocused your resources (in alignment with your strategic plan, vision, and values) to develop these relationships to their full potential. 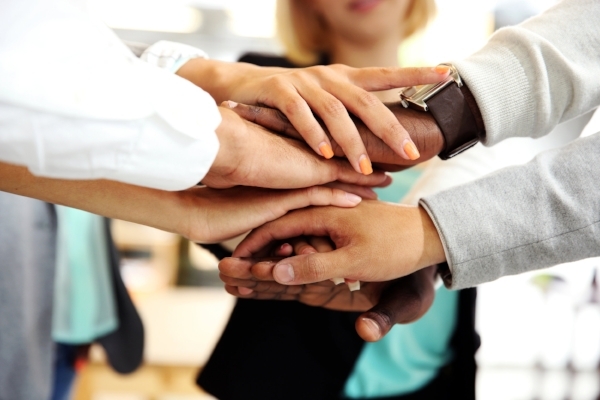 Your stakeholders are your partners, collaborators , and interested parties that have a stake in your well being, benefit from your efforts or who desire to influence your world in some way. When I've looked at an analysis like this in organizations, I find the 20/80 rule shows up in tangible ways. 20 percent of your relationships and stakeholders provide 80 percent of the value, benefit, and excitement in your life and organization. The opposite is also relevant, meaning that 20 percent of your relationships result in 80 percent of your resource drain - time, money, attention, effort. There is power in doing this kind of relationships analysis as an individual in preparation for your next transition as you identify those relationships that will be positive enablers and supporters and those relationships that will provide head winds and drag. Same goes for your organizations next transitions. Put into direct and somewhat harsh words - cultivate and strengthen the relationships that are win-win and necessary and purge/eliminate the ones that aren't. You only have so much resource to go around, use them wisely and you'll find success much more easily!